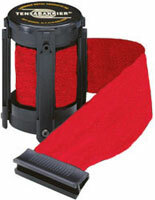 This 4-way tensabarrier replacement belt features a 13-foot dark green 2" woven polyester stanchion barrier. 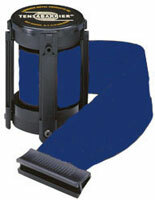 Each retractable cartridge attaches easily to existing stanchions using only a Phillips head screwdriver. 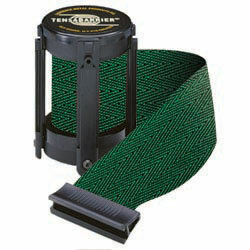 The lightweight Tensabarrier replacement belt in 13-foot dark green polyester is an ideal way to replace old or damaged accessories, or to update crowd control fixtures to a new color. 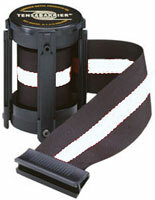 This easily installed replacement belt's retractable 13-foot dark green woven polyester webbing is available in a variety of sizes and color schemes to match decor or business branding.